Last week we got what we were all waiting for, the Insurgent trailer. Today Entertainment Weekly has released a brand new still. 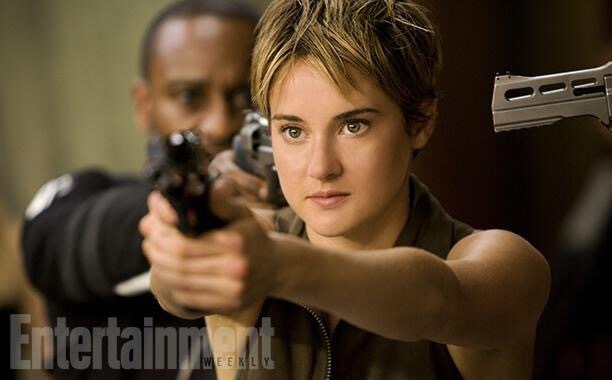 The new Insurgent still features Tris(Shailene Woodley) pointing a gun assuming at Jeanine(Kate Winslet). 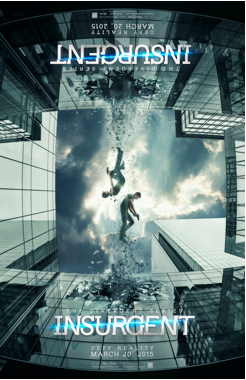 Insurgent surges into theaters in 2D and 3D on March 20, 2015. We have been getting new Insurgent stills every day this week leading up to the full trailer premiere tomorrow. In this new Insurgent still Tris and Four are very close. Seems they are getting ready to kiss. Be sure to come back tomorrow because we will finally get the full trailer for Insurgent. We have been getting a Insurgent still a day this week. Yesterday it was Tris and Four. Today is villain Jeanine. 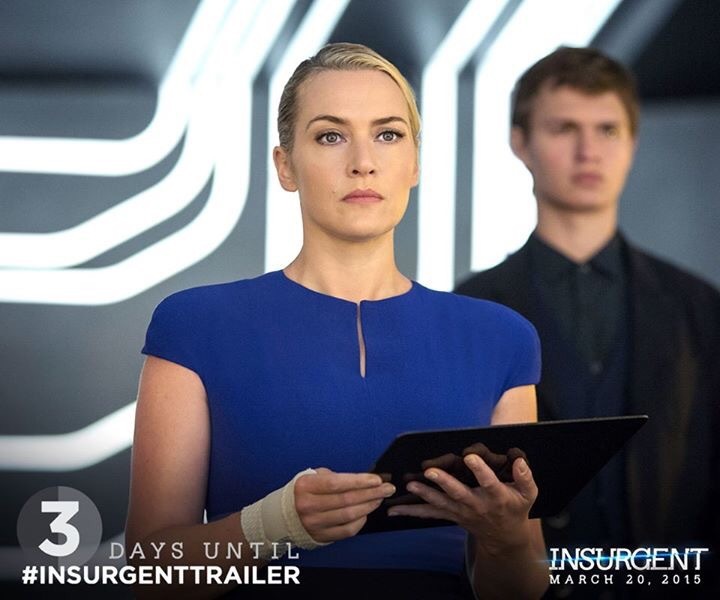 Jeanine(Kate Winslet) is thinking of a master plan in this brand new still from Insurgent. Caleb(Ansel Elgort) is also in the still. What are your thoughts? Who do you think tomorrow’s Insurgent still will feature? Share your thoughts in the comments below. 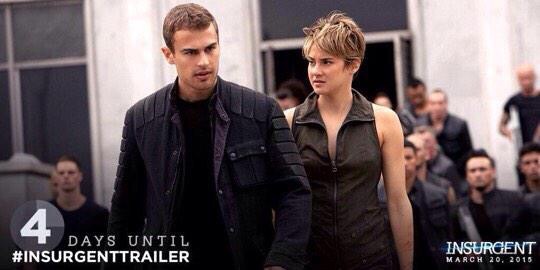 Don’t forget that the full Insurgent trailer will debut on Friday! Insurgent surges into theaters on March 20, 2015.